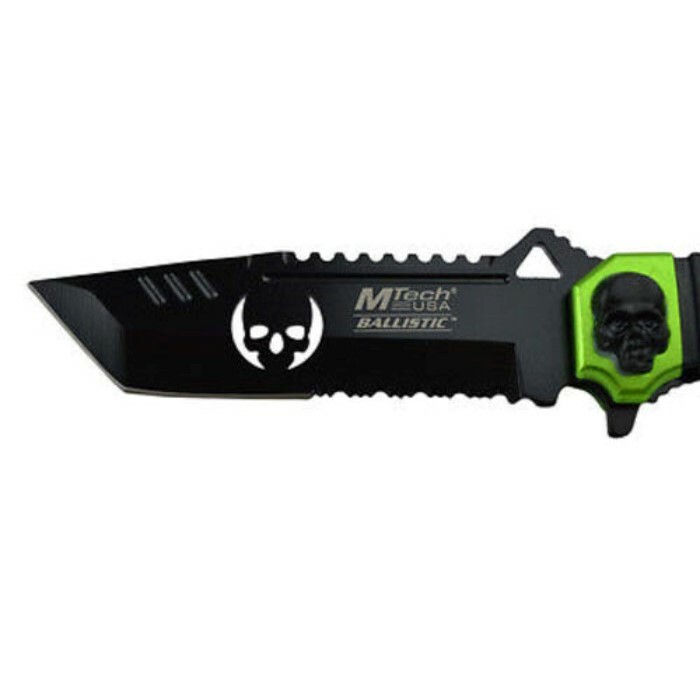 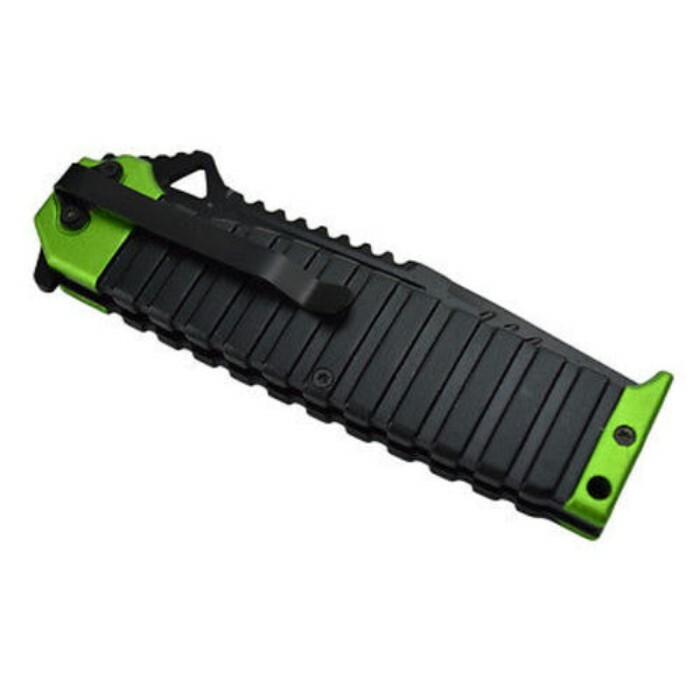 Bring out the Ninja within, with this spring assisted knife by Mtech. The 4.5" black, spring assisted Tanto blade fully extends with just one hand, making it perfect for situations when you need a knife in a hurry and the half-serrated, 3mm stainless steel blade is suited for a wide variety of cutting needs, while being strong and lightweight. 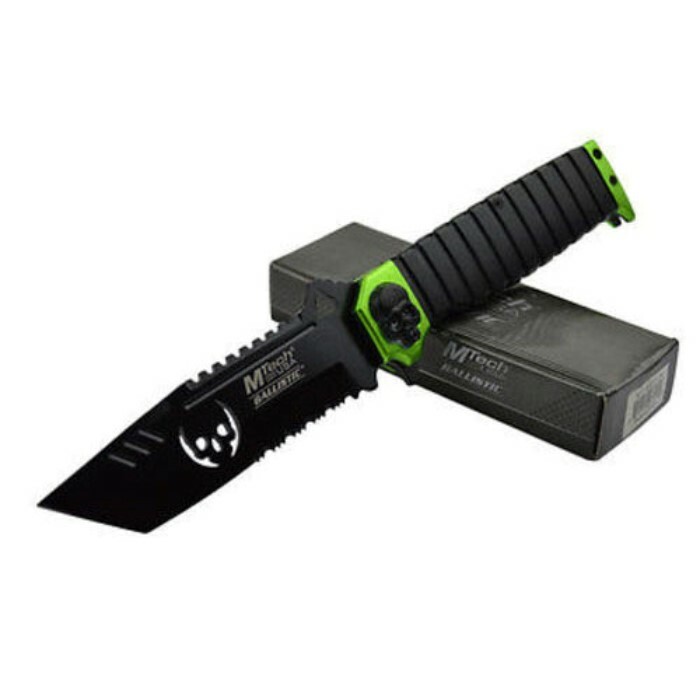 This knife will show your friends you have style with the skull cut out on the blade and the black and green aluminum handle. 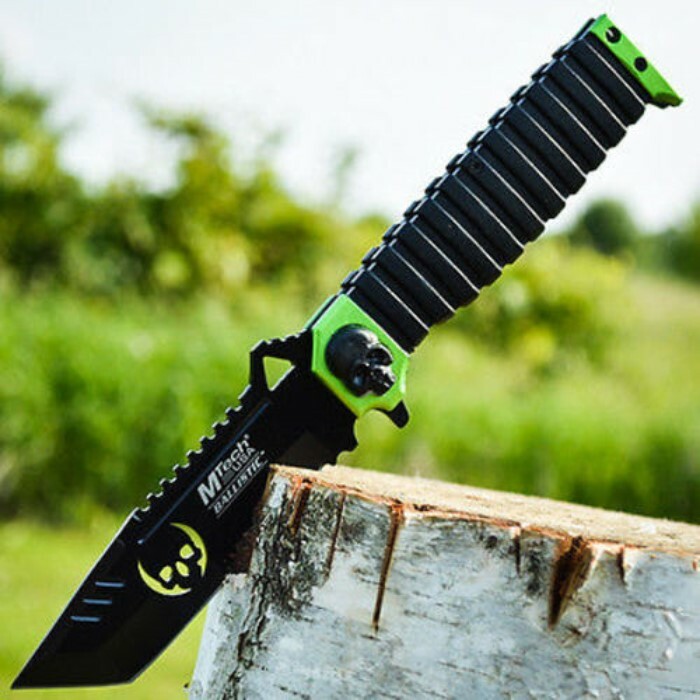 The pocket clip completes the look, allowing you to wear the knife for both function and fashion.